A hero for your room. 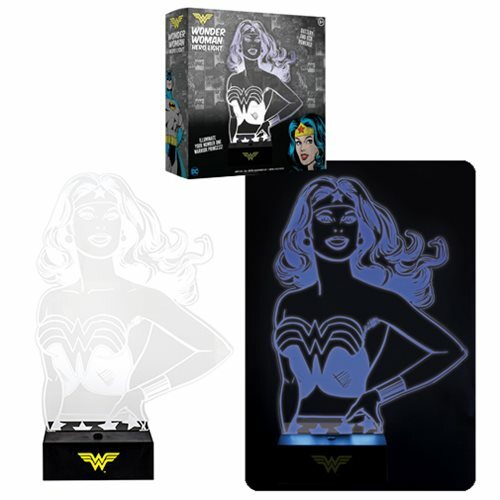 Illuminate your room with a 10-inch tall laser-etched DC Comics Wonder Woman Hero Light Lamp with a realistic stencil for a bold and bright effect! USB or battery powered, it comes with a dual-powered base and a micro USB cable. Requires 3x "AA" batteries, not included. Ages 8 and up.